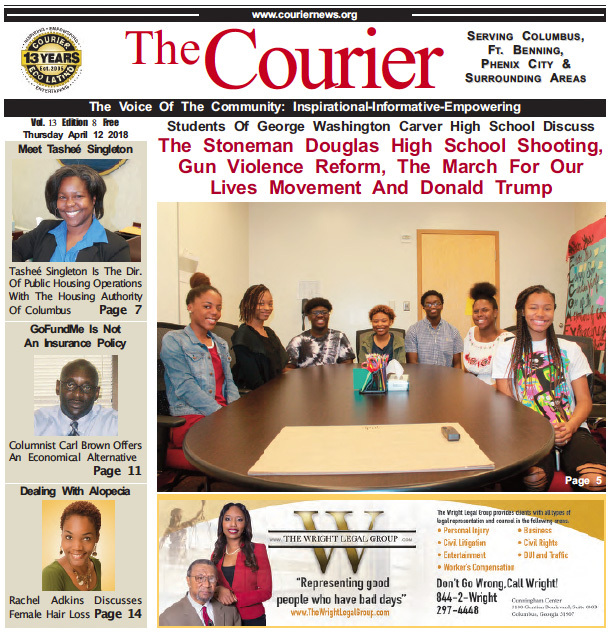 I recently sat down with students from George Washington Carver High School to get their opinion on a number of current events that included: The shooting at Stoneman Douglas High School in Parkland, Florida; Gun Violence Reform; The March For Our Lives Movement and Donald Trump. Thanks to guidance counselor Shari Thomas for making the opportunity possible. Due to space restraints we have provided the comments that best reflected the sentiments of the group. While I had their attention I asked them to reflect on the 50th anniversary of the assassination of Dr. Martin Luther King, Jr.. I appreciated that they were aware of the importance of the date and how significant his contribution to the history of the United States has enabled them to live a better life than many of those who came before them. I left the school and my visit with these future leaders with the knowledge that contrary to what we may have been led to believe they are not all lazy, entitled and self-absorbed. History dictates that young people have always led social change and today’s youth are no different. As they continue to find their purpose I have no doubt they will make life better for all of us.